Saying Goodbye to Maker VISTA: Bigger and Better Than Ever Before! After five inspiring and challenging years, we will be concluding the Maker VISTA program in Fall 2018. To celebrate the impact and success of this work, we’ve asked our amazing Maker VISTA members to reflect on their experiences and accomplishments this school year. Each of our VISTA members, working at various partner sites nationwide, came to this program with different perspectives, and focused on different projects—yet they all remain connected by a commitment to service and community. 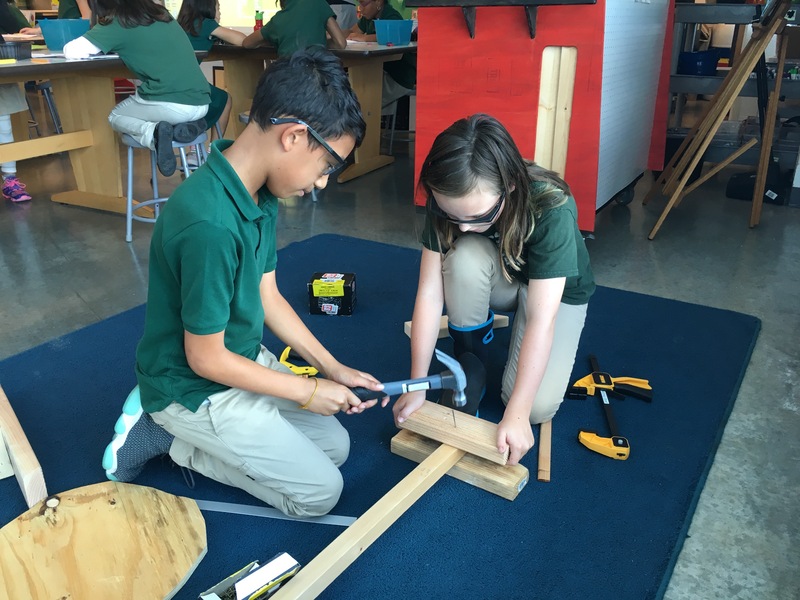 In this post, Khalil Pettway, a VISTA member serving at Drew Charter School, shares more about how he and the youth and educators he serves, have been affected by maker-centered learning and capacity building. Making is constantly happening at the campuses of Charles R. Drew Charter School in Atlanta, Georgia. The STEAM Program at Drew is one of its many treasures, as teachers of all subjects do everything they can to incorporate STEAM into their curriculum. Project Based Learning (PBL) is a huge part of Drew: every grade level works on a project, and at the end of each quarter the school holds a PBL Showcase Night where parents come to the school to see the projects their children have been working on. During those quarterly PBL nights, we also held events in our very own Makerspace, called Maker Nights, where parents and their children could explore the wonders of making, from making buttons to creating slime, and everything in between. This year we were able to improve and expand the school’s Maker Nights, which are now bigger and better than ever before! 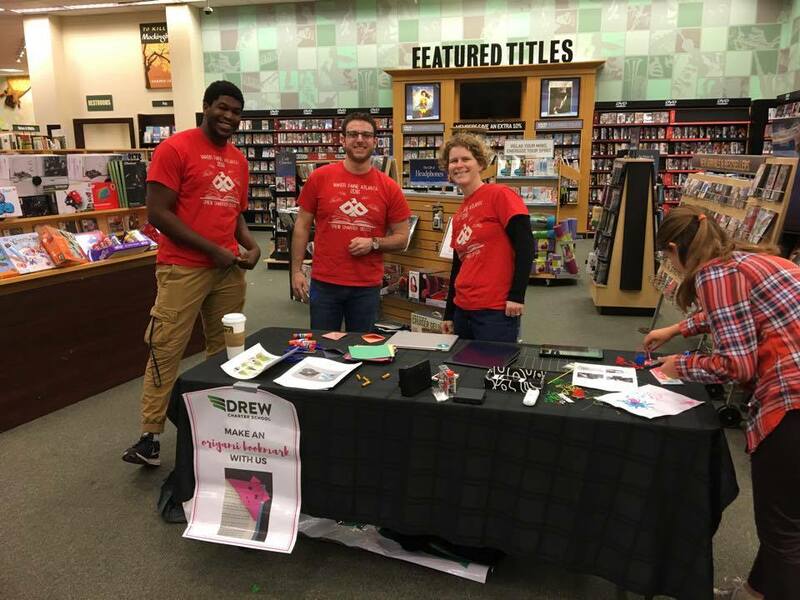 Working with the Makerspace manager Chris Monaco, as well as Engineering teachers Catherine Muller and Lynn Luster, we designed projects with thematic links to other events within Drew’s STEAM Program, such as the Lantern Parade and the Lanta Gras Parade. Community members who attended Maker Night in the fall built lanterns that they could use during the Lantern Parade the following day. More than 300 participants enjoyed the Maker Night activity. At the second Maker Night of the school year, in the winter, participants created throwable items (Drew STEAM buttons) for use at the Mardi Gras parade. Because the Maker Night in the fall had been so large, we decided to divide the traditionally one-night event into two. The two-night event was a success: ultimately, over 100 families walked into the Makerspace and created a button over the two days. This in turn encouraged participation in the parade. Between the two Maker Night events, 70% of participants said that it was their first time at a Maker Night, introducing new community members to the experience of making together. It’s hard to imagine such a pillar of making and STEAM in the educational community becoming even better, but somehow at Charles R. Drew Charter School it happens. Every year the school holds a STEAM Day event in the spring where the whole community can come and witness what the students have worked on and even get a chance to explore what other Makers in the community are doing, and this year’s event had the best turnout yet. Plus, the STEAM Trunks that I personally oversaw (making sure they stay stocked and that the teachers had access to them) experienced more usage from staff this year. These mobile making trunks are available for reservation and can be wheeled into campus classrooms for lesson integration. There are trunks for electronics, soldering, construction, arts and crafts, 3D printing, and a few new ones. Due to the high number of requests we were able to bring more STEAM trunks into the two campuses, so we could help spread making to more classes. Being a Maker VISTA at Drew Charter has done so much for me, from opening my eyes to the world of making and also helping me develop skills that I never would’ve imagined possessing.